Ron Burgundy and Ricky Bobby are hilarious, but I prefer Harold Crick from “Stranger than Fiction” when it comes to Will Ferrell roles. That 2006 character was a welcome departure from the popular man-child roles Ferrell has hit it big with. Although he starred in other dramas, this was his most recognized role and it showed (as it has in the past with Tom Hanks and Jim Carrey), that sometimes some of the best comic talents can deliver some wonderful dramatic performances. 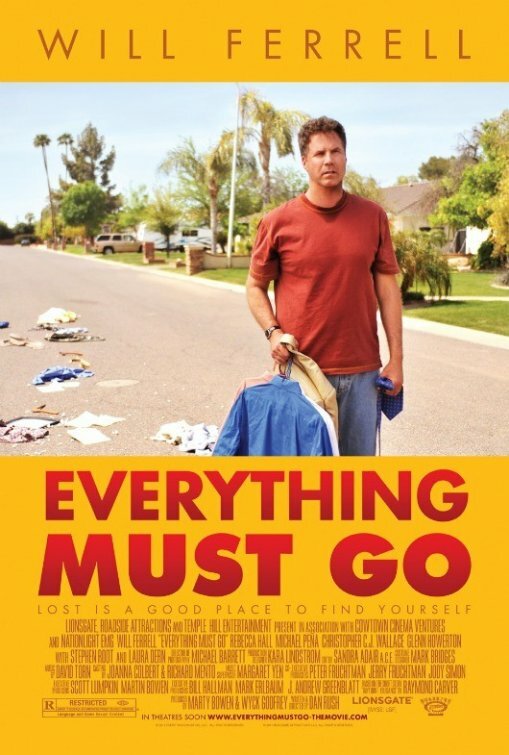 Such is the case with this fine film, where we find Ferrell delivering his most complicating work to date. After working a corporate gig for sixteen years, from salesman to executive, Nick Halsey (Will Ferrell) finds himself without a job, due to his relapsing alcoholism which resulted in a sexual harassment complaint. His next move: load up on PBR and head to his suburban home in Arizona. He arrives to find all his personal possessions have been tossed on the lawn and the locks have been changed too. Looks like his wife fired him as well. When he asks his wife over the house intercom, “Are you in there? If you are, can this happen another day?” we believe him. There’s not much for Nick to do as he glances through his belongings, and thus he plops himself down in his lounge chair and cracks open another cold one. In no time, his company car is taken, his cell phone account is closed, and his credit cards are frozen. Things start to get really serious when he realizes he’ll soon be lacking funds for more booze. Over the next couple of days, Nick’s living environment obviously is noticed by his neighbors. Since he’s living in a glass house without glass walls, it’s kind of hard for everyone not to. Thing is, he also starts to see his neighborhood in ways he likely never would have before. Some things, like the sexual antics of his smarmy neighbor (Stephen Root), he probably never wanted to know about, but he uses such knowledge to his advantage. 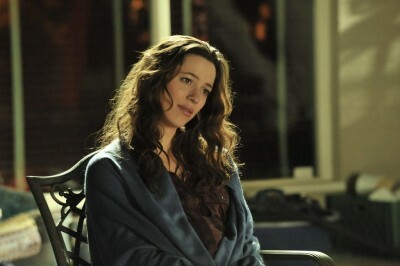 He observes and befriends the pregnant Samantha (the always great Rebecca Hall), a recent addition to the area who may or may not have her own marital drama. When the neighbors call the cops on Nick (not out of concern for him, of course), he gets out of being hauled off due to a connection he has. Turns out his AA Sponsor is Frank Garcia (Michael Peña) a local detective who provides a Nick with a city ordinance which will allow him to stay there another five days, if he holds a yard sale. At first, Nick fights the idea, trying to cling on to what little he has left. But, with the help of Kenny (wonderful newcomer Christopher Jordan Wallace) a bored and lonely boy from down the block, Nick is not only able to sell some of his junk, but he’s also finds it in him to take some steps forward in life. These opening scenes provide an unassuming melancholy that appropriately fits the mood we’re introduced to. For some reason, following an individual undergoing a nosedive in life has a magnetic pull. It could be because we can relate or maybe because we can see ourselves having similar flaws or problems. Sometimes it takes dire circumstances for us to sit and look at where we are in life. Who we’ve become and what we’ve done. So, like a tractor beam we are locked on such a story just as we do a traffic accident that we pass by on the road. Curiosity and travesty collide as we anticipate what happens next. For his first feature, writer/director Dan Rush chose to adapt Why Don’t You Dance? a short from Raymond Carver’s 1981 collection What We Talk About When We Talk About Love. That’s a wise move, since Carver has so many rich characters to choose from (Robert Altman’s great film “Short Cuts” is based on Carver’s work as well), often examining the everyday life and interaction of human beings. Rush’s approach in bringing a desperate and inconsolable character to the big-screen, is not to implore our emotions, but matches a simple, straightforward story with a tangible style. Avoiding any whimsy and quirk that can usually be found in an independent feature with this subject matter, Rush allows the film to live and breathe on quiet, still scenes that build characterization and tone. Such an approach allows the actors to simply be their roles. Ferrell isn’t afraid to show Nick as a jerk, lashing out at anyone trying to truly peel away at his drunken exterior. He has moments that play out with humor, but it’s not the Will Ferrell hilarity audiences are used to (which is why this movie didn’t get a whole lot of advertising or promotion), it all comes from who Nick is and what he is doing. Ferrell has believable chemistry with Hall, but their rapport thankfully never gives in to typical convention. In the end, their characters land exactly where they should. One particular standout scene for Ferrell is when Nick looks up an old high school classmate that he seemed to overlook over the years. He looks her up after flippin’ through his old yearbook. We’ve all been tempting to call the number that that one girl/boy left for us on a page by their picture. Well, Nick does it and tracks down Delilah (Laura Dern), a divorced mother of two, contently living not too far away from Nick. In a role that lasts not more than eight minutes, Dern is amazing as she sees right through Nick’s loneliness and despair, bringing a raw truthfulness out of Ferrell. Their reunion ends on an awkward albeit logical and hopeful note. The real heart of the movie, and catalyst to Nick’s character arc is the unlikely friendship he develops with Kenny. The boy comes across wiser and smarter than we (or Nick) would assume and we soon see two people who come to realize they need each other. Kenny could’ve been written as the annoying smartass neighborhood kid that we see so often in films, but Wallace inhabits the role with such simplistic ease and unaffected matter-of-factness. 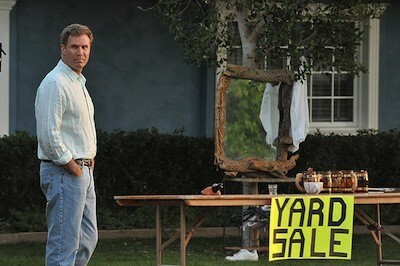 This quiet, first-time role is powerful and, at times, Ferrell looks as surprised as we do at Wallace’s choices. “Everything Must Go” is impressive debut for Rush and it does many things well, but viewers will be left with a couple of resonating conclusions. One, that Nick may actually make it another day and things could make a turn for the better or they may get worse before they do. Such is life. Two, that Will Ferrell can break out of the persona the box office knows him for and surprise moviegoers. He has it in him to play a character straight and still deliver some laughs, which makes this one of the many reasons this film is worth your time. I really liked this movie. I’m not usually a big fan of ‘realistic’ movies, because I find life is often as real as I’d ever like it to get and enjoy my movies as more of an escape from reality. However, this looked really intriguing to me. I was glad I went and saw it. I think it strikes a great balance of reality, without being too depressing. It ended on a perfect note, not wrapped up all neat and tidy, but leaving you hopeful. It was good….